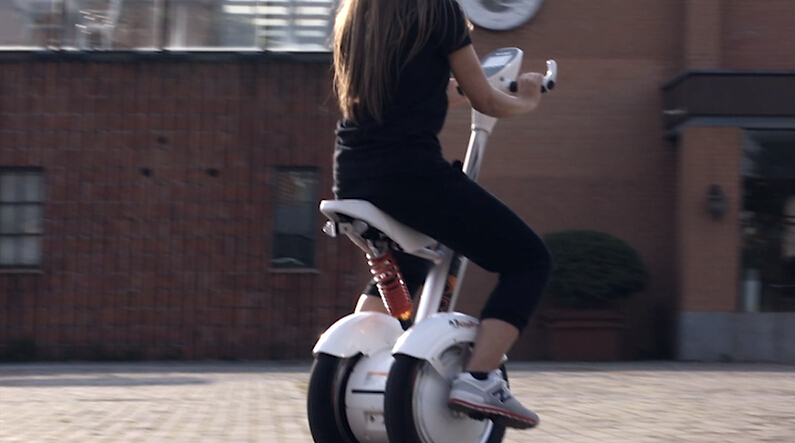 Abstract: A video of trial rides with Airwheel self-balancing scooter A3 is posted online. Integrating new designing concepts and new riding experience, S3 is bound to deliver a brand-new lifestyle. On June 18th, Airwheel Technology released two new products and electric self-balancing users have finally ushered in two revolutionary products, S5 and A3. S5 is an upgraded version in the S-series while A3 is the first member of the A-series. Today, a trial ride video of A3 is finally released. Let’s enjoy the new concepts brought along by A3. Airwheel intelligent self-balancing scooter A3 reconciles the creativity and originality of the world’s leading designers. At the beginning of video, the details of A3 are full disclosed. 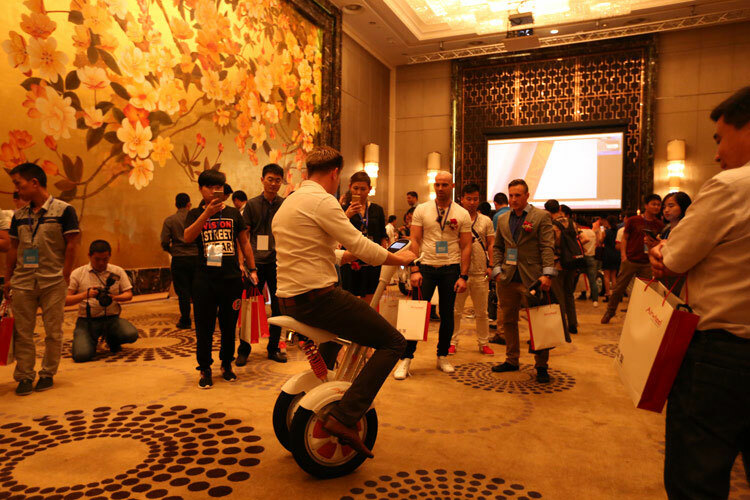 A3 adopts high-tech nanometer materials and high-end Chen Shin tires like other Airwheel products do. Each detail is crafted and refined. This time, A3 is innovatively equipped with a saddle which enables users to sit to ride the electric scooter. The electronic braking system is another initiative feature. To some degree, it lifts some consumers’ concern over intelligent scooter’s safety performance. When users press the braking button, the vehicle will respond to the command in less than 0.5 second. Once the braking system is activated, the vehicle will be stopped within 50cm, which guarantees the rider’s safety. With such good security capability, customers should gain confidence in the electric self-balancing scooter industry. A hot fashion model is chosen as the trial rider of intelligent self-balancing scooter A3. A beautiful young lady combined with a fashionable two-wheeled scooter adds vitality and young blood to the video. After downloading the APP, users can monitor the status of the self-balancing scooters on the phone. It is even possible to adjust intelligent scooters on the APP. This innovation will surely make riding more comfortable and desirable. A new era has generated many new trends. Everyone should follow the new trend for efficiency and comfort. Airwheel intelligent electric bike motor A3 brings about a novel way of commuting. Come and join in the new riding revolution.